I like to think of this time of year as the calm before the storm. We’re now close to three weeks since everyone in Calgary got to breathe a much needed sigh of relief, but we’re still in a period of mild panic as many of us have no idea what to get our parents for Christmas. We’ve already had some big news with Orlondo Steinauer, Corey Chamblin and DeVone Claybrooks ascending to the role of head coach in Hamilton, Toronto and BC respectively and the Winnipeg Blue Bombers unleashing the greatest apparel strategy with the release of their “Canadian Mafia” shirts (get em while they’re hot!). But this all feels like the tip of the spear of off-season news with important coaching vacancies to be filled and about 564,097 free agents available, including all-stars like Mike Reilly, Adam Bighill, William Powell, Willie Jefferson, Stanley Bryant and Bo Levi Mitchell all floating in that unsigned limbo. » Ferguson: Who are the CFL’s three emerging powers? 1. 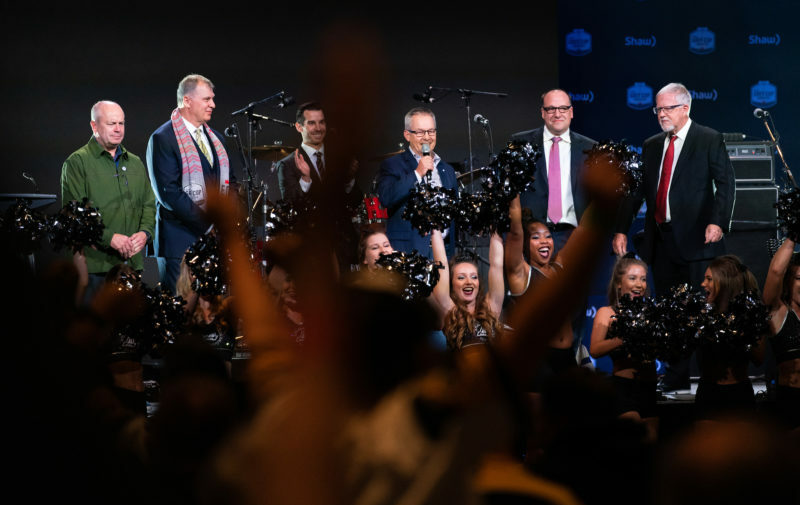 The Atlantic Schooners officially become the CFL’s Atlantic Schooners. I was excited as anyone else during Grey Cup week when it was announced that “Schooners” would be the name for the Maritime based football team that we all have been waiting for ever since the Ottawa REDBLACKS came into existence. 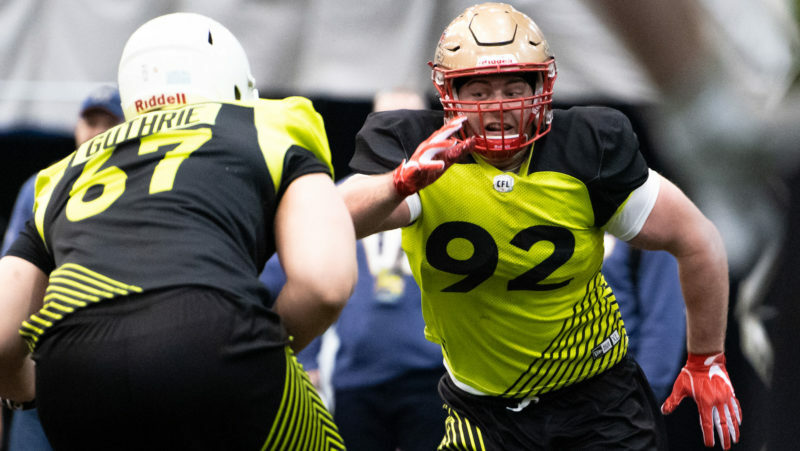 The names Anthony LeBlanc, Bruce Bowser and Gary Drummond from Maritime Football Limited Partnership are more important than any free agent linebacker this off-season as these are some of the key people trying to make a 10th team a reality. It’s great that we have a name, it represents that we are closer than ever before but until all the financial issues between public and private interests and the government have been figured out I really can’t too excited. Names are nice but concrete news is much better. 2. Jerry Glanville finds his way back into the CFL. With his resume, Jerry easily could have played the “Do you know who I am? ?” card but instead chooses to go the other way. He was great on TSN 1150 in Hamilton when he did a segment called “The Most Interesting Man in Football” with Coach June Jones, and I need more coaches in my life who do interviews in cowboy hats! 3. Crazy technological advancements that may infringe on my personal freedom but who cares cause I need to stay current. I know that last title is a mouth full, let me explain. Listen, I love the 2019 Free Agent Tracker page on CFL.ca as much as the next person. I check it every other day, but I need more. There are so many notable players that are free agents; from solid contributors to key Canadians to, you know, the MOP of the entire league. I’m 43, it’s hard for me to keep up with who is going where. Is it too much to ask the CFL to develop a microchip that can be installed directly to my brain that will update me the moment there is a free agent signing? We’ve mastered the Skycam, how hard can this be? Could this have chilling future ramifications where eventually the computers take over and enslave all of mankind? Maybe, but I would like to know where Jalen Saunders ends up. 4. Canada builds their own wall to keep players from going down south. This is zero per cent political and 100 per cent a selfish request by me. I know it is so hypocritical and just plain wrong of me to even think about denying such accomplished stars like Bo Levi Mitchell and Alex Singleton from playing in the NFL. Beyond the financial windfall, I imagine it has been their life dream to someday throw a touchdown pass or intercept a potential touchdown pass in the NFL. But I’m going full selfish sports fan and hoping they never leave because they entertain millions of fans like me every single week. Yes, of course I’m wishing them nothing but success, but I’m allowed to be a wee bit of a Grinch, aren’t I? 5. Johnny Manziel signs a contract extension. Bet you didn’t see that one coming! I’m rooting for Manziel to take a huge leap in his second year and become the quarterback he was at Texas A&M in Montreal. 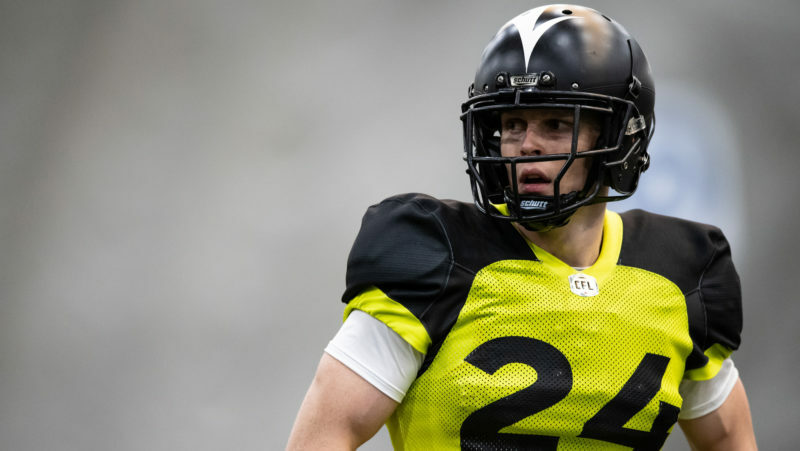 Think about how much fun the East would be with Jeremiah Masoli, Trevor Harris (more on him in a moment) and a near all-star level Manziel all fighting it out in the East. The only way that scenario becomes even better is if we know Johnny was here for several more years. It’s easier to root for or against a great quarterback when the reality of their soon to be departure isn’t looming over our heads. 6. The REDBLACKS bring the team back together. I’m looking at you Marcel Desjardins! Find a way to bring Trevor Harris, Diontae Spencer, Greg Ellingson, William Powell and SirVincent Rogers all back. I want one more year of this Ottawa core. 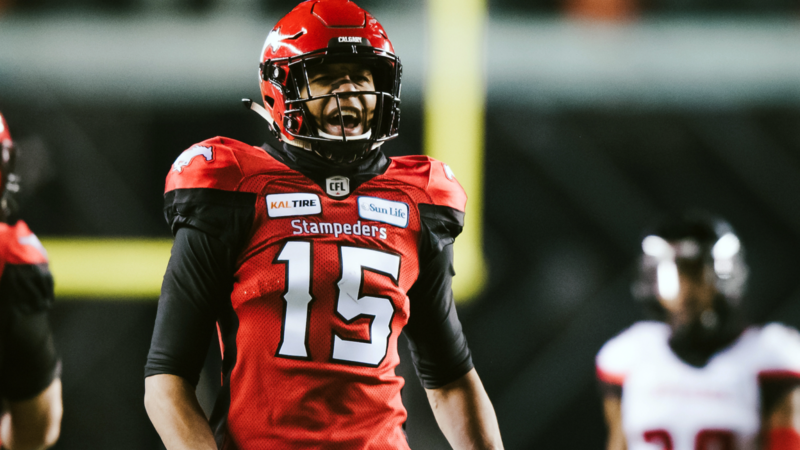 Take away three games against the Calgary Stampeders and wow, was Ottawa’s offence fun to watch, just go back and re-watch the Eastern Finals. 7. John Bowman and Chip Cox find teams next year. Both these CFL stalwarts have been making plays since 2006. The idea of them retiring would make me feel super old and I’m not ready to live in a world where they’re not making life miserable for quarterbacks. I told you this would be a selfish column. There is nothing original about this request and I fully understand it is not up to me or anyone else to tell Ricky what he does with his career. But when you see a quarterback who is now 39 being carted off the field on a stretcher with his head immobilized, then yeah, I hope Ray moves on to the next act of his life. No professional athlete wants his final moment on the field to mirror what happened to Ray, but let’s be honest, rarely does a player get to dictate the perfect storybook ending. Ray, you won four Grey Cups, you threw for over 60,000 yards and 324 touchdowns, and you’re a first ballot Hall-of-Famer. I hope you can find peace at walking away from the game knowing you were one of the best to have ever played. 9. Brandon Banks makes a full recovery. I need this 2018 CFL All-Star to make a full recovery from his clavicle injury. All CFL fans, not just ones from Hamilton were robbed when his season ended in Week 19 against Ottawa. Banks played in 14 games this year, 10 of those contests saw him exceed 100 yards receiving, a franchise record. Jeremiah Masoli and the Tiger-Cats were never more dangerous than when Banks was on the field. What made Banks so mesmerizing wasn’t just his speed but his fearlessness. Banks was consistently the smallest player on the field yet wouldn’t hesitate to go into traffic to make a catch. 10. Duron Carter signs on with a team that can get him to live up to his potential. I have no idea what was going on within the Saskatchewan Roughriders organization but something negative must have happened for Chris Jones to release such a talented player from a team desperate for help at that position. Then in Toronto, Carter was employed more as a decoy than a legitimate threat. I don’t how much of this is on Carter and his behavior or on stubborn coaching staffs; all I want is for Carter to land somewhere that utilizes his skills and for Duron to live a relatively distraction-free life. 11. The creation of a Zach Collaros to Eric Rogers connection. As someone who is still on the now much more empty Collaros bandwagon, I want him on a team that gives him the best chance to win and Saskatchewan certainly fits the bill. But he will need some help to turn around a lousy passing game. Rogers would represent a huge upgrade at that position, giving Collaros the kind of weapon that makes quarterbacks’ jobs that much easier. Also in this dream scenario Rogers has agreed to continue his CFL career and has fully recovered from his meniscus tear. It’s win-win! 12. Willie Jefferson gets paid all the money. Not only is he one the top three scariest players on defence, but have you seen the work he has done as the ambassador for Cameco Riders Touchdown for Dreams that gives assistance to those affected by women’s cancer? Check out this video about his relation with Roughriders fan Verna Blocka. Such an inspirational video from a player who has been devastated in the past with cancer in his family. I’m not crying, you’re crying!